The psychological effect of this small victory is great. It shows that acting in solidarity can have a real effect. On September 10, 2017, gubernatorial elections were held in 16 Russian regions. All the national channels gave cheerful reports on the convincing victory of those candidates who owe allegiance to the regime and head the large regions of the Russian Federation. Not a single serious opponent got through the “regional filter,” which confirmed pessimistic forecasts on the prospects for pluralism in the country’s political landscape. Most experts did not expect any particular breakthroughs in the capital’s municipal elections. 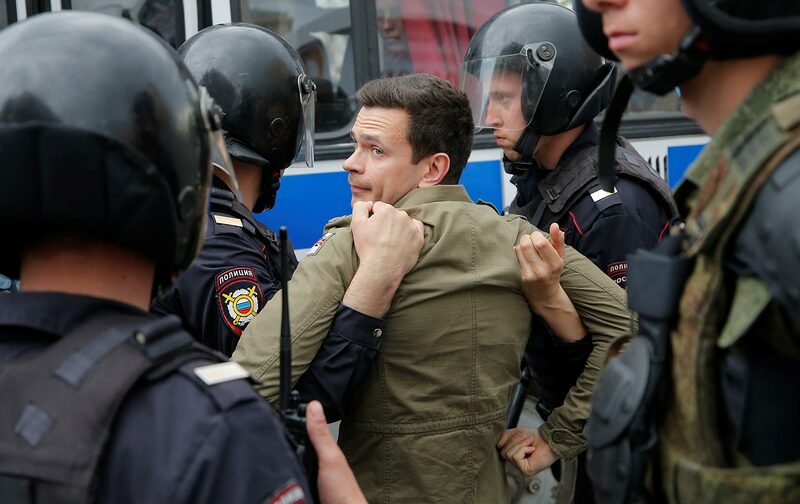 The city authorities focused much more on the Moscow Day festivities. Even the day before, on September 8, at the height of the work day almost all the roads in midtown Moscow were blocked, gigantic stages with tasteless decorations were set up in squares, and 500 areas for fireworks were being organized. The pompousness of the holiday and its expense—the media reported that tens of millions of rubles were spent—elicited profound irritation even among citizens who were supporters of the current administration but who were having trouble adjusting to reduced income and harsh limitations on free medical care and social support. Many people were out of town to enjoy the last sunny days in the countryside, and not everyone had time to vote before election day. Preliminary results show that only 14.8 percent of those who could exercise their to vote did. The independent candidates, Yabloko and PARNAS, journalists and human-rights activists used social media and Ekho Moskvy radio to encourage voting, not really believing that the traditional passivity of most citizens would be overcome (in great part because of the negative attitude toward the authorities and disbelief that change was possible). The very early results were unexpected. The candidates of the united opposition, the “Gudkov list,” the “Kots list,” and the ones who nominated themselves left the traditional “system opposition”—the Communist Party, Just Russia, and the LDPR—far behind, gaining 270 seats in 62 regions. In 17 municipalities they gained the majority, and in 29, a third of the all deputies. In the Gagarin District, where Putin votes, Yabloko won every seat, beating the favorites of the Moscow authorities. It is notable that the “alternative” candidates won not only in the traditionally “liberal” districts in the center of Moscow and near universities, but also in some peripheral ones, like distant Zuzino. In total, they got almost 20 percent of all seats. Yabloko, Parnas, Dmitry Gudkov, Ilya Yashin, Ilya Azar, and other candidates began talking of victory. Alexei Navalny, who did not participate in the process (considering it too minor for a potential presidential candidate), wrote a welcoming blog congratulating the newly elected, but he was obviously upset that other political movements can mobilize the electorate, even in part. Political experts note that most of the mandates still belong to United Russia, and that its agreement is necessary for a successful participation in future mayoral elections. Some observers have always branded the alternative deputies as Don Quixotes who are unlikely to handle the practical work in the municipal council and will undoubtedly disappoint their voters. Moreover, the skeptics continue, these more-than-modest results can’t affect national politics. Novaya Gazeta, on the other hand, reminded readers of the surge in civic activity in 2011–12 and explained that the results of today’s elections are the realization of the potential of the protest wave five years ago. Recent events in Moscow show that there is a new generation of citizens in the country, or at least in the capital, who are not afraid to take on responsibility. Who are not afraid to engage in political struggle or in practical, quotidian affairs to better their lives. That is, the very things that Muscovites, and intellectuals, had rejected for many years. Today they see new faces—young and very young—of the people who are ready to do the hard and thankless work to improve things and who do not want others to make decisions for them. They managed to persuade voters without expensive image makers, PR campaigns, and television. They are not the “efficient managers” from corporations or civil servants, they are people with concrete professions, the activists who would not allow elite cottages to be built on playgrounds or parks, “the guys next door” known to their neighbors. The ones who care. Of course, they don’t have political experience. But they can learn, especially if they have wise and experienced colleagues and assistants, who care about their city and their country. The psychological effect of this small victory is great—it showed that acting in solidarity can have a concrete effect in a concrete situation. There is no other way. Without intending to, the new generation has reminded us about the turbulent perestroika era, the hope that united very different people in the desire to renew the country, which is strange to recall. In 1989, there were deputies elected to the Supreme Soviet USSR who were independent of the authorities, they were the minority that formed the Interregional Group of proponents of change. At that time, they were talking about changing the entire country through transformation “from above.” Many thought it would be easy and fast if only the important and needed decision were taken. Few understood that democracy is not a gift from the heavens, but requires hard, daily work, while creating a good daily life and further improving that life is its necessary foundation. Interestingly, Yabloko, which many political analysts had written off as a group of eternal outsiders and failures, showed amazing results. The Yabloko candidates took every seat in District 2151 in the Gagarin region, where Putin voted. It turns out that the experienced party, having added young activists to its ranks, has gotten its second wind! Will its “second attempt” succeed in the future? Today’s alternative deputies belong to the generation of children of the romantics of perestroika. They are starting with the most important thing, with the local, municipal, lowest level. I want to believe that they will succeed.